Western States Construction Inc., where modern technology meets old world craftsmanship. We are here to help with your decision on which application is best for your kitchen or bath. At WSCI we understand that in today’s world the consumer is increasingly conscious of every dollar spent. In response to this we are committed to working with you so you know what quality to expect from a stone fabricator. Also, our staff of fabrication experts are here to help you understand the characteristics of natural stone without sacrificing value to you or the high quality service our business is known for. 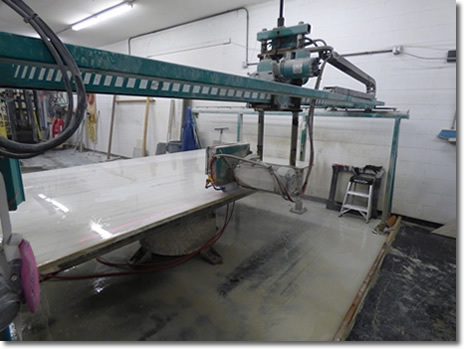 At WSCI we fabricate all granite in our own local facility, we are here to answer any questions and to help with your decision on which product and application is right for you. When it’s done right it adds lasting value. Granite slab countertops Granite is second only to diamonds in hardness. It is simply the best work surface available. Granite countertops will not blister, scratch or crack; and they are highly stain resistant. 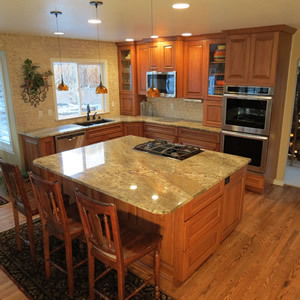 Granite Countertops are a beautiful, durable, and cost competitive solution for kitchens, baths and other residential or commercial application. Quartz slab is an excellent choice for Residential and Commercial countertop projects. Quartz based products are composed of 93% natural quartz, one of nature’s strongest minerals. High Style, Low Maintenance quartz never needs sealing, and its hard, nonporous surface makes cleaning simple. Granite actually requires very little maintenance. Simply use a mild soap or stone cleaner for everyday cleanup. A sealer or impregnator depending on what type of stone should be applied every 2 to 3 years. You may apply this yourself and only takes about 15 minutes. Western States Construction Inc. is committed to providing a superior product. We know that you are making a decision, that will beautify and add value to your home for many years to come. We stand by our work and craftsmanship to make sure our delivered product is timeless. When it’s done right it lasts longer. 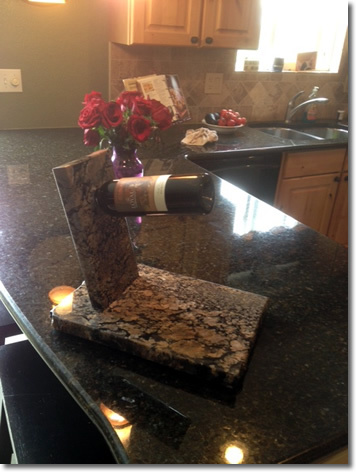 Custom granite fabrication & installation. American craftsmanship at it's finest! We had Boyd of Western States Construction Inc. work with our contractor during our kitchen remodel. 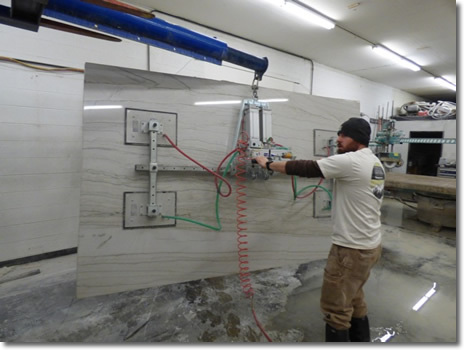 Boyd first helped us by directing us to several slab granite vendors that he used, and once we selected a stone that we liked, he helped direct us to a vendor that had many slabs of the style we chose. We knew when we started the remodel we would be bumping up against the holidays. Boyd also worked closely with our contractor to minimize the time it took to fabricate and install our slab granite countertops. Best of all was the finished product. Boyd was able to layout the book matched slabs in such a way that the seam was minimal and virtually invisible. He also laid out the slabs so that the direction of the stone veining was flowing the same direction from the counter tops along two walls to the 30 square foot island. Boyd is a true craftsman and our countertops are easily the favorite part of our kitchen remodel. It is my pleasure to write a letter of recommendation for Western States Construction, Inc. on behalf of Boyd Lilly. Boyd recently remodeled our 25 year old kitchen. The results of the remodel are even more than we expected both visually and from a quality perspective. I do not say this lightly as I am a quality assurance professional and have extremely high expectations. Going into this project my husband and I were nervous as our previous dealings with contractors had resulted in multiple “redos” in order to get the job done correctly. Boyd consistently did the job right the first time, every time. The quality of the finished project shows through and craftsmanship is evident. Boyd was professional from the design process through completion. His additions and ideas during all phases of the project produced results beyond our expectations. Never once during the remodel did I feel that Boyd was rushing to get done and get on to the next project. Boyd remodeled my kitchen as if it were his own. My husband and I made many significant changes during the remodel and Boyd never said that it couldn’t be done, but met the challenges of project changes with a smile and quickly addressed any problems resulting from our changes. Our 25 year old house presented many challenges of its own due to structural abnormalities and Boyd addressed those quickly and efficiently. It was a pleasure to work with Boyd and I wouldn’t hesitate to do so again. I highly recommend Western States Construction. I wanted to write you a quick note to express our appreciation for the project you recently completed on our home. I wonder if you realize that your efforts far exceeded the level of detail, professionalism and expertise that we were expecting. Our experiences with tradesmen in the past have generally been rather frustrating. Our expectations of honesty, craftsmanship and experience have generally been dashed. It seems impossible to find anyone able to start and finish a project as promised, charge a fair price and exhibit an above average skill level. Frankly, there have been times I would have been happy to find someone with any one of those qualities. Boyd, you went “above and beyond” at our home. Your integrity as a businessman and builder were obvious in every step of the project. You finished ahead of schedule, under budget and the quality of your work is masterful. Your determination to maintain your high personal standards and unwillingness to “cut corners” are exemplary. Not only will you be the only person we call when future projects present themselves, but also it would be our pleasure to provide a reference on your behalf. We wish you the most success in your future endeavors.